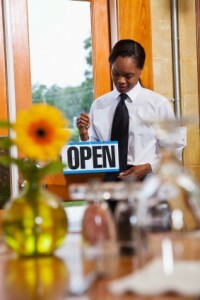 RestaurantManagementDegree.org has information about restaurant management and culinary arts degrees and careers. To the unprepared, restaurant management can be a daunting task. Many restaurants outside of chains require management to hold a degree along with experience. While general management and hospitality management are great choices, restaurant and food management degrees provide the best foundation for this career. A degree in restaurant management can open doors to a number of different opportunities. Whether you goal is to open your own restaurant or manage someone else’s, knowing how to build customer loyalty, train staff, and manage finances and inventories are essential for success. A restaurant management degree program focuses on developing these competencies so you’re ready to enter the workforce with confidence. BA - Service Mgmt: Restaurant Enterprise Mgmt BA - Service Mgmt: Hospitality Enterprise BA - Service Mgmt Ashford University – Ashford University is one of the largest providers of online higher education with over 60 programs available in its course catalogue. Ashford offers a BA in Service Management with specializations in Restaurant Enterprise Management and Hospitality Enterprise that students can complete relatively quickly. Ashford University is accredited by WASC Senior College and University Commission (WSCUC), 985 Atlantic Avenue, Suite 100, Alameda, CA 94501, 510.748.9001, www.wascsenior.org. BS - Hospitality Mgmt Grand Canyon University – Grand Canyon University is one of the few Christian colleges offering programs in hospitality management. The school offers its BS in Hospitality Management both online and at the campus, providing students a flexible way to pursue their degrees. The school is accredited by the Higher Learning Commission, a member of the North Central Association. Are You Interested in Restaurant Management? The restaurant business is a huge industry with many opportunities for the right candidate. Restaurant owners, managers, and staff work hard to earn their continued patronage. That’s why earning a degree in restaurant management is a worthwhile endeavor if you’re considering a job in this field. You’ll learn the necessary skills to succeed in this exciting and challenging profession. In order to perform these tasks, proper training is often required. A degree in restaurant management will prepare to take on these responsibilities with confidence and competence. Once you have completed the necessary coursework, you might be required to complete an internship. An internship serves to train and prepare students to work in the industry. You might work at a local restaurant, resort, or hospitality management firm. Where you intern should align with your future goals. If you’re a recent high school graduate or looking for a career change, you can choose to pursue an associate degree or a bachelor’s degree in restaurant management. Both degree programs provide entry-level training. However, a bachelor’s degree requires students to complete general education courses in addition to required major courses. An associate degree will likely take two years to complete while a bachelor’s degree will take three or four years to complete. Many schools now offer programs online or partially online to help students who have busy schedules and need maximum flexibility.